The gluten-free diet can feel overwhelming enough without having to worry about the often-staggering cost to boot. Gluten-free food banks can help those who may be financially struggling to stay on course. In an ideal world, those of us on the gluten-free diet would live on meals straight out of a Gwyneth Paltrow-styled fairytale. We’d eat a balanced variety of naturally gluten-free organic fruits, vegetables, lean proteins and ancient grains. We’d spend Sunday afternoons mindfully preparing healthy snacks for the week ahead: resealable bags full of cut-up local peppers, carrots and strawberries, homemade granola bars, chia-covered cocoa balls and spicy kale chips. But as anyone who has to follow the gluten-free diet—and especially those who are new to the diet or raising kids on it—can attest, the reality is that even the most health conscious of us invariably rely on store-bought, prepackaged gluten-free goods from time to time. 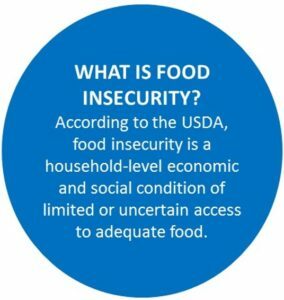 And when you consider that, on average, gluten-free versions of “regular” foods can cost up to 450 percent more than their gluten-containing counterparts, you can imagine how formidable the gluten-free diet must feel to low-income families or those who are food insecure (see “What is food insecurity?” at right). While there is no known figure for exactly how many Americans on gluten-free diets are food insecure, a study by Brigham and Women’s Hospital found that 21 percent of children diagnosed with food allergies experience low food security. That’s just one snapshot of why the work of gluten-free food banks is more meaningful than ever—and why it’s critical that the gluten-free community rally around them and those who rely on them. Scott Akeson of Lee’s Summit, Missouri, visits Food Equality Initiative monthly. As a father of four kids ages 8 to 17, he says his family began eating gluten free when his oldest son was diagnosed with celiac. “Each month, our food bill was as much as our mortgage,” Akeson said. “It can be awkward to ask for help, but we needed some way to defray the cost of this medically required food.” The biggest boost, he said, are items like gluten-free flour—which a Food Equality Initiative report showed can cost $6.39 per pound, compared with $0.57 for regular flour. “Emily and her team of volunteers are all so helpful, friendly and knowledgeable, and we’re so grateful,” Akeson says. The Gluten-Free Food Bank, part of the New England Celiac Organization, distributes gluten-free foods to pantries in the greater Boston area. “We concentrate on getting those specialized gluten-free replacement products—bread, crackers, pasta, nutritious bars,” said Director Nicola Harrington. When Harrington’s son was diagnosed with celiac three years ago, she had an “a-ha moment.” “Being diagnosed is a stressful time—there’s the stress of trying to change the diet and the stress of dealing with the social aspect of it. But then it hit me how much more stressful it would be to not be able to afford some of these products,” she said. While The Gluten-Free Food Bank gets valuable donations from large-scale national suppliers, Harrington also feels grateful to have a supportive local community in New England. “We have a very sympathetic audience among the gluten-free community, from individuals to manufacturers and vendors,” she said. “They know how expensive these products are, and they empathize with those who have financial insecurity or food insecurity and need these products.” Take 14-year-old Brendan Weissel of Newton, Massachusetts; for his bar mitzvah, he asked guests to bring gluten-free items to donate to the bank. “I have celiac, so I really wanted to help the celiac and gluten-free community,” Weissel says. He and his guests ultimately donated more than 130 items. Tiffany Holtzman has been equally moved by teens who want to make a difference. As the founder of S.A.F.E.—Supplying Allergy Friendly and Emergency Food Pantry, Inc.—in suburban Baltimore, she supplies allergy-friendly food to a local food bank and has relied on the amazing support of youth like Lily Lev, 14. For her bat mitzvah, Lev created a flyer and asked MOM’s Organic Market to donate re-useable grocery bags. She printed more than 100 flyers and stapled them to the donated bags. With the help of her younger brother, Sam, Lev left the bags at more than 100 houses in her neighborhood. The following week, the siblings returned to the homes to collect the bags and were amazed by the turnout: 146 pounds of food, filling three grocery carts. Brendan and Lily inspired me to rally my gluten-free community: For a Valentine’s Day gathering organized by Cel-Kids Maryland, a Maryland social support group founded by Andrea Balzano Tucker and Kate Cramer, I asked anyone who’d like to donate items to bring them to the event. I was floored when the 18 families in attendance generously donated nearly 50 items. “The gluten-free community is naturally a supportive, collaborative, helpful group. No one understands better the necessity—and cost—of gluten-free food than those who depend on it daily,” said Balzano Tucker, who launched the resource baltimoreglutenfree.com. Heather Gannon agrees. After her daughter Rachel was diagnosed with sensitivities to gluten and dairy, Gannon felt the pinch to her wallet—and became determined to help others. In September 2015, she created The Rachel Way, a dedicated gluten-free food pantry in suburban Philadelphia that, she says, people drive more than two hours to visit. “Every client who comes through our door gets teary-eyed,” Gannon said, from the homeless family who was living out of their car to parents who’ve lost a job or are going through a divorce. In addition to staples, Gannon makes sure to stock the kinds of food that help kids feel less alone. “I have cookies, cake mixes, fruit snacks. I try to make sure I have things in snack sizes for kids’ lunches because it’s so important that they don’t reach for someone else’s,” Gannon said. “Sure, they’re things you shouldn’t eat every day—I think [those on the gluten-free diet] naturally progress to a more whole, real-food diet [as time goes on]—but it’s reassuring to know your child can feel included. 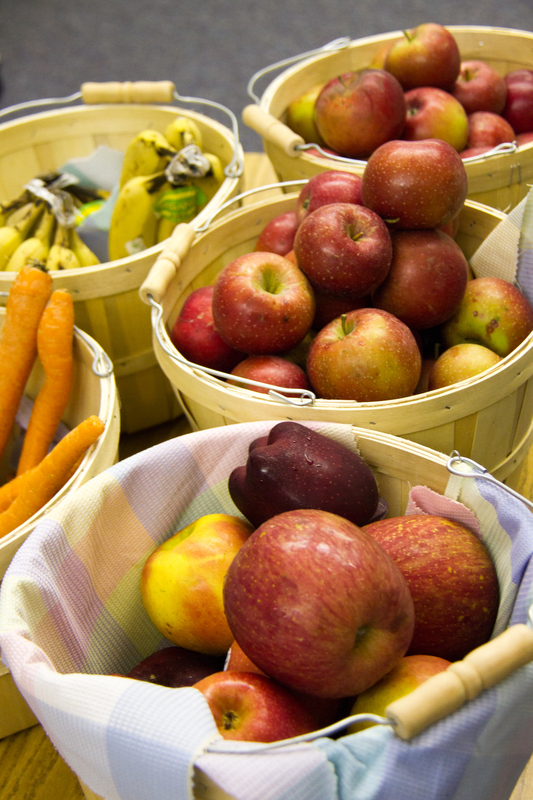 Advocates like Brown are gratified by the movement of food banks nationwide to increase their offerings of naturally gluten-free fruits and vegetables. “Fresh produce is the fastest growing channel of food and our No. 1 priority,” said Michelle Marshall, MS, RDN, the director of community health and nutrition at Feeding America, which serves more than 46 million people across the nation every year. And Marilyn G. Geller, CEO of Celiac Disease Foundation, points out that food banks also often do have naturally gluten-free items like rice and beans on hand. The challenge, many say, is that food banks often lack the staff or training to get those foods in the right hands. Dee Valdez, a Colorado-based consultant on gluten-free issues who’s known as “Gluten Free Dee,” was one of the first in the U.S. to help organize gluten-free food pantries. In many cases, she said, the necessary food exists—but it’s just not sorted so that it gets to those who require it. “My request is for people to give more purposely—if you want to give food, you need to give it to food banks that get it to the families who need it.” Other experts emphasize the importance of labeling gluten-free foods clearly if you choose to donate them, so that they get where they need to be. 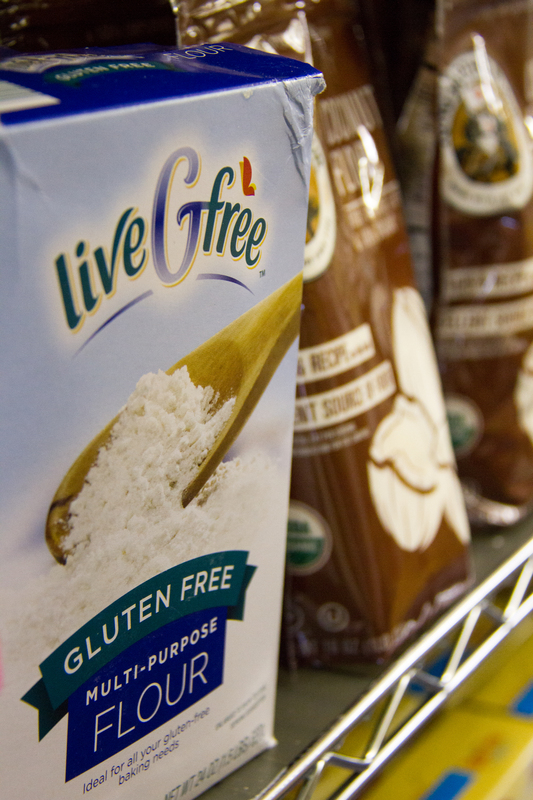 Looking for more ways to save money on the gluten-free diet? Check out our Tips for Saving On Gluten Free section! Jessica Press is a writer whose work appears in Redbook, Parents, O, The Oprah Magazine, and more.